Scroll down for a free printable Map Of Arkansas. The above US map shows the location of the state of Arkansas in relation to other US states. On June 15th of 1836, Arkansas became the 25th state admitted to the union. Read on to learn fun facts about Arkansas, and see links to other free printable maps. People from Arkansas cannot make up their minds whether they want to be referred to as Arkansans or Arkansawyers. Arkansas is the only US state in which diamonds are mined in nature. The specific location is Crater of Diamonds State Park in Murfreesboro, where diamonds were first discovered in 1906. A popular recipe in Arkansas is chocolate gravy, frequently enjoyed with morning biscuits. The state of Arkansas prohibits the sale of alcohol on Sundays. In Arkansas, tractors are street legal. A large number of Arkansas residents call in "sick" to work on the first day of hunting season. 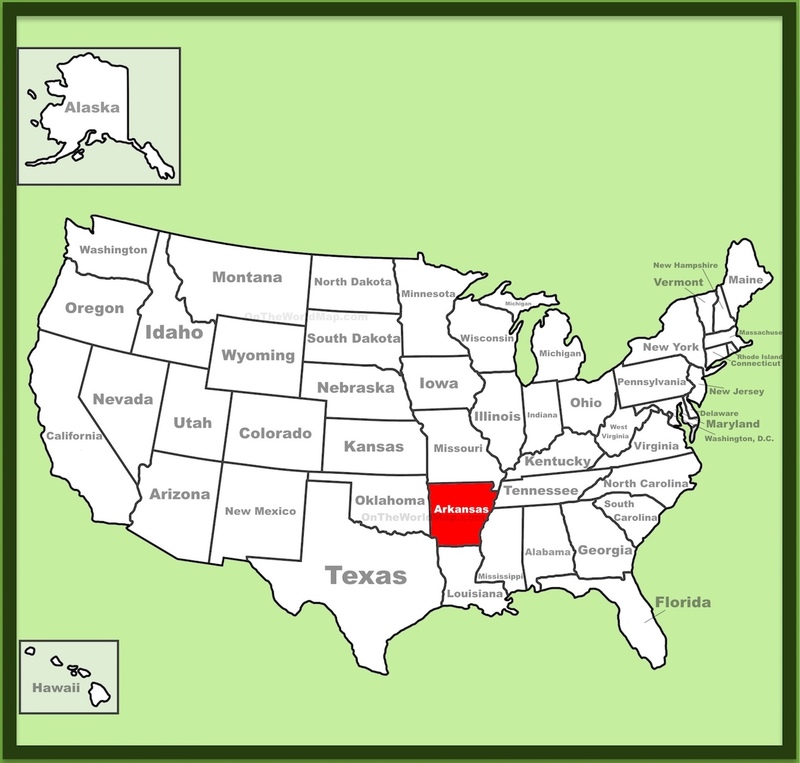 Former US President Bill Clinton was born in Hope, Arkansas, which is located about 100 miles southwest of Hot Springs. Hope is also famous for being "The Watermelon Capital Of The World." The first Walmart store was established in Rogers, Arkansas in 1962, and still has its headquarters in Bentonville. It is illegal for the Arkansas River to rise above the Main Street Bridge in Little Rock. It remains unclear whether or not the Arkansas River is aware of this law. 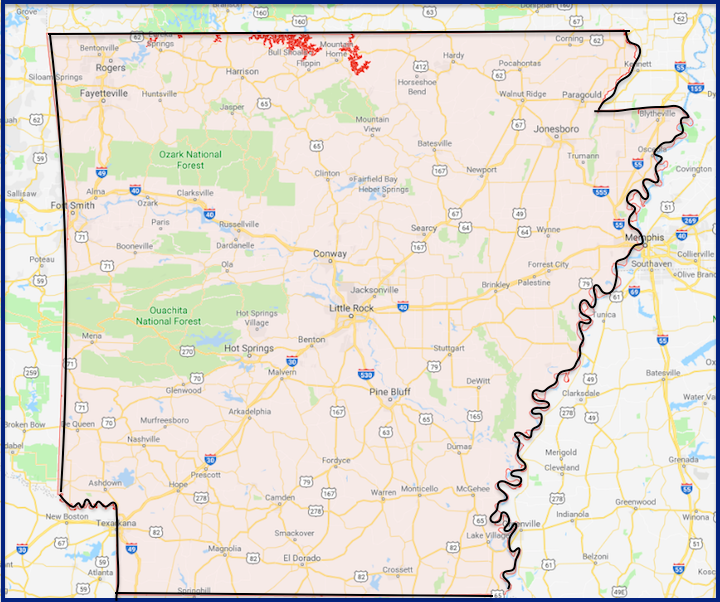 Show above is an enhanced google map of the state of Arkansas. This map depicts cities, major roadways, and surrounding states. The eastern border of Arkansas is defined by the Mississippi River. Notice how Little Rock occupies a centralized location on a map of Arkansas.